These seemingly unusual fat-tired bikes – many prefer ‘badass’ or are also known as “fat bikes.” They also are known as “wide-tired bikes,” “balloon-tired bikes,” “winter bikes,” and my favorite “fatties.” Don’t let the term “winter bikes” deter you though. These bikes are great year-round since they were originally invented to tackle sand and snow. Fat bikes are not replacing mountain bikes they are just adding adding another dimension to the sport of cycling. Fat tires were developed so that bikes could become all-terrain compatible. The fat tires allow the bikes to have more stability and traction to diverse surfaces. This includes surfaces such as snow, mud, sand, pavement, and more. This works because the tires have more area that touch the ground at any given point. Having that contact, the bike tires are able to keep some sort of grip on solid ground. 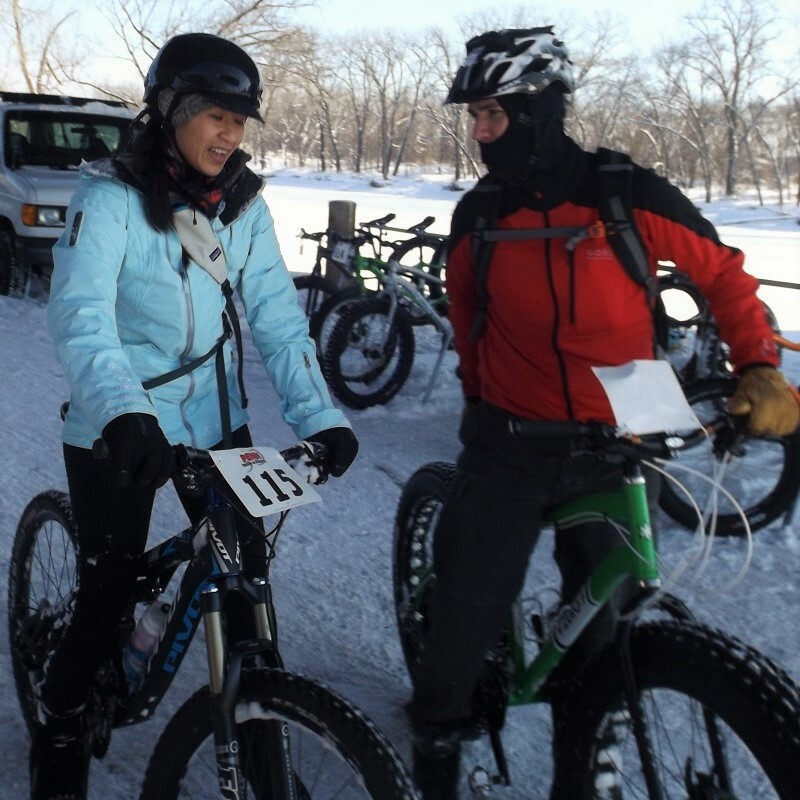 Additionally, the fat tires allow bikers to enjoy mountain biking or other biking activities in the winter. They ride a bike that can keep them safer due to the tire’s gripping ability and weight dispersal. Plus, the tire pressures aren’t something to worry about. Due to the design of the fat bike tires, the rider doesn’t have to worry about air pressure within the tires as they ride (at least for the most part)! 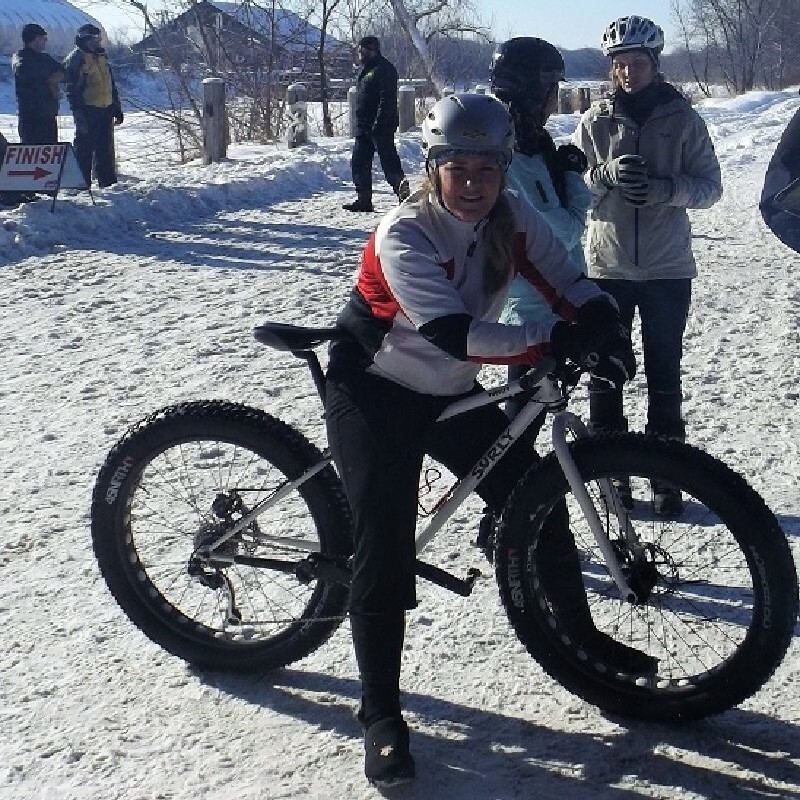 Fat bikes are becoming popular on mountain bike trails throughout the year. Fat bikes have been around since the early 1900’s. However, it wasn’t until the 1970’s to 1980’s that the modern-looking fat bikes came to life. Before this, there were bikes that had 2-3 wheels that were cleverly put together side by side to try to increase that surface area contact to the ground. It wasn’t until bike frame builders in Alaska began looking at and experimenting with the different parts of the bike and tires to make the bike safe for the winter months. They began putting together multiple bike rims so it could hold multiple tires on a bike’s front and back. While someone would roll their eyes and say that it was ‘of course’ the Alaskans that took it to the next level, there were people in Mexico also working on a project. It was in the late 1990’s, 1999’s Interbike convention, where the two designers met to discuss what they had produced. It was around this time when a builder named Mark Gronewald, an Alaskan frame designer, coined the name “Fat Bike” in 2001 for his bikes. In 2011 he was able to build a bike that had a full range of gearing that riders could use. In 2005, the company Surly Bikes – located in Bloomington, Minnesota – went on to release their specialized frame. They called it the Pugsley which had an offset wheel and frame build. 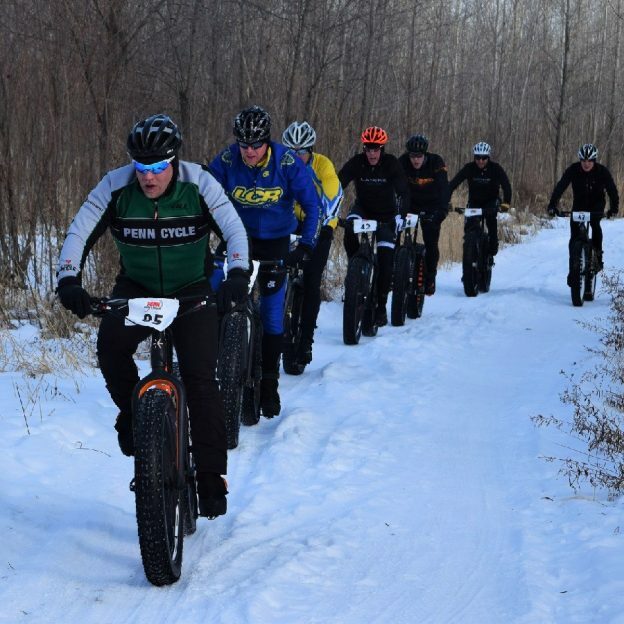 Fat bikes are great year-round, here is a Surly bike at a race in the Minnesota River bottoms in Bloomington, MN. Their design was the one that moved into local bike shops around the world. The pugsley made fat bikes commercially available for bikers. Since then, many other bike companies have gotten in on the action and produced their own designs for fat bike riders. Ten years ago fat bikes seemed like a novelty and were considered an oddity and weird. Today, however, it’s more accepted, common, and even affordable for the average Joe. I mean, as far as bike prices go. Fat bikes have expanded around the world due to the versatility aspect of the wheels. With the ability to ride on snow and mud, they can be used year-round. So now biking season is all season long! What is riding a fat bike like? Learn more in our article highlighting how fat bikes can make winter riding more fun! 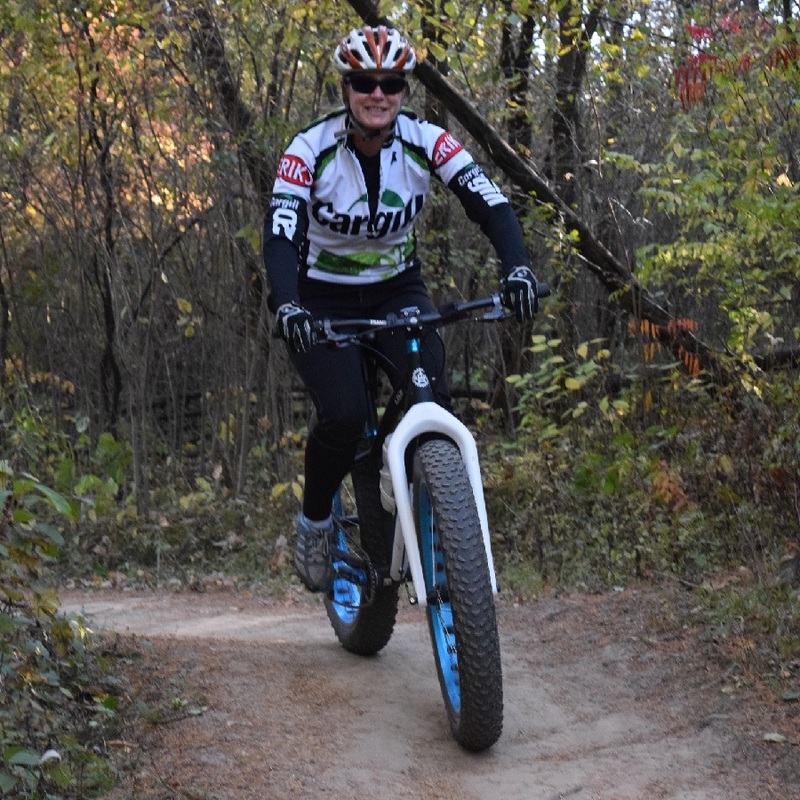 This entry was posted in News and tagged #BloomingtonMN, #fatbike, #fatbikes, #nextadventure, #nextbikeadventure, #onlyinMN, #penncycle, #Surlybikes, fat bike history, Fat bikes, fat tires, Pugsley, why fat bikes, why fat bikes exist on October 26, 2016 by Jess Leong.